The StopGull Air® is the ultimate device to deter seagulls and coastal birds from landing on your boat. Its 6' diameter arms work with a light breeze and can withstand winds in excess of 60 mph in its fully extended state without the need of batteries. With its improved swivel system and securing device, there is no need to remove and/or store the StopGull Air® after its installation. StopGull Air® is safe, effective, versatile and does not hurt birds or wildlife. 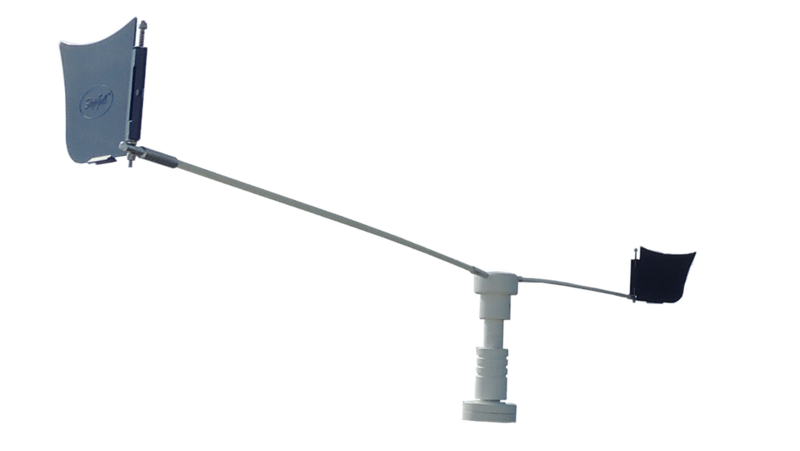 With its 3 different mounting options, it can be attached to any part of your boat in less than 10 seconds.